School’s Out is a program organized through the Arcadia Branch of the Ocean Community YMCA providing quality after school care at Charlestown Elementary, Richmond Elementary, and Hope Valley Elementary Schools. YCares Financial Aid is available to families who qualify and we also work with DHS payments. Download the Program Handbook and Registration Packet by clicking the links below. Complete and return to the Arcadia Branch. Tuition Payments are due the first of every month. We offer automated bank draft option for convenient tuition payments. Payment is due in full regardless of attendance. There is a 10% discount for the second child enrolled. 3:15-3:45: Attendance, Homework, Quiet Game Time. 5:15-6:00: Free Choice Activity Time. When there is no school, the Y operates a Vacation Day Camp from 8:00 AM to 6:00 PM. These days are included in students Schools Out tuition IF it is a day of the week that the child normally attends. If they do not attend that day of the week, there is a $50 Fee. Be sure to verify this when signing students up at the Front Desk. We are limited to 36 Students per Vacation Day. Once a day is full, there will be a waiting list. If the School district cancels School, or releases school early for any reasons such as inclement weather, there is NO SCHOOLS OUT. Note that the Y does not notify Parents of this, Follow the School District for this information. 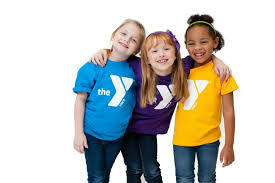 If a child is going to be absent from the Program, the parent must notify both the School and the YMCA. Once they call the YMCA, remind them to notify the school, and then inform the Youth Development Coordinator, so that he may notify the Site Director. Changes in a student’s schedule must be made aware to Schools Out Staff at least a week in advanced.